Rich look attire to give your a right choice for any party or function. 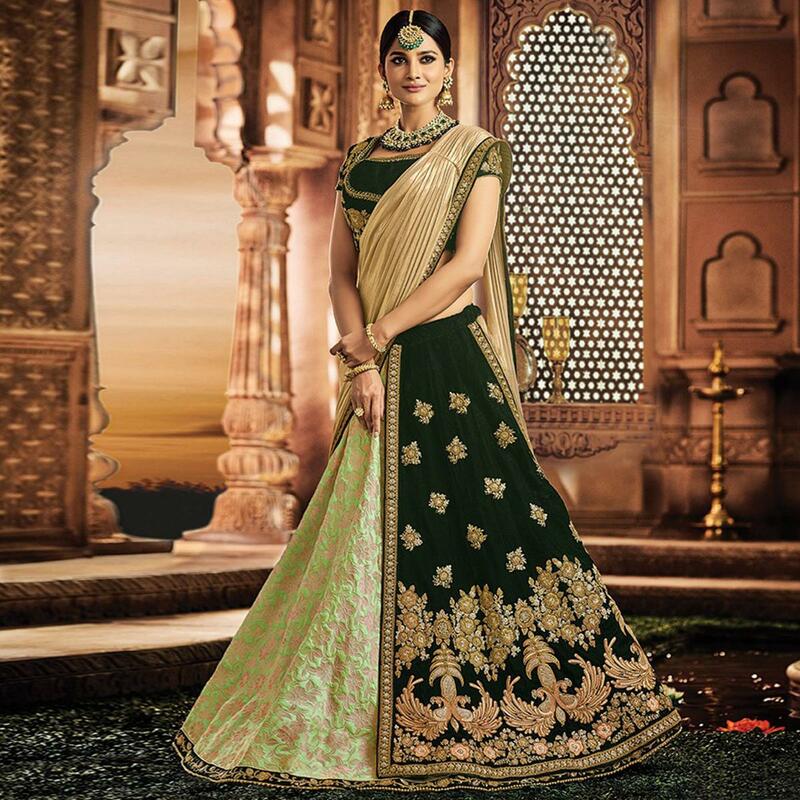 True beauty can come out of your dressing style and design with this gorgeous green colored designer lehenga saree. This ethnic piece has got tread, zari and cord embroidery work on entire dress. This semisttiched jacquard silk-velvet fabric lehenga also consists of velvet blouse and lycra dupatta. Specially designed to wear for traditional functions, wedding, festivals and special occasions where you want to be center of attraction. Pair it with matching ethnic accessories to elevate your ethnic look. Buy this lehenga saree now as it's a unique piece with attractive color combination which is rare to find. This attractive lehenga will surely fetch you compliments for your rich sense of style.